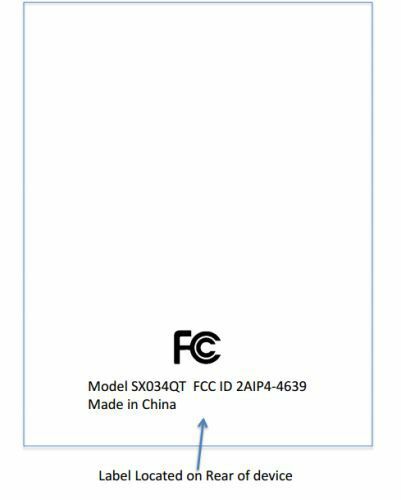 Two new devices showed up on the FCC website today that almost certainly belong to Amazon. Neither device carries Amazon's name, but everything about the listings points to Amazon. One device is listed as the SR043KL from Triesan LLC, and the other is the SX034QT from a company called Blancopage LLC. these are front companies, which points to Amazon, and the lack of details on the listing also suggests that these devices belong to the Seattle retailer. All the interesting details in the FCC listings have been obscured, but we do know that both devices have microSD card slots, Bluetooth, dual-band Wifi, and headset jacks. In short, these are probably Amazon fire tablets, most likely running Sailfish OS on an Intel CPU. But we will have to wait for Amazon's launch event to know for sure. Hmm, I just picked up the Fire HD 8″ because I wanted Alexa’s voice for reading. I wish they would just build it into the default voices so you can choose that voice over one of the others. I also like how the tablet handles SD storage. However, all the 5-star reviews this and the 10″ have made me wonder what people are smoking. It’s really a mediocre tablet and it made me realize just how good my aging Fire HDX7 was. I’m kinda kicking myself for not buying the 8.9 as I think that is the sweet spot for tablets as far as being easy to use and port around. Anyway, I’m wondering if I should send my 8″ back and wait for the new ones to come out. Maybe I will get lucky and Amazon will bring out another HDX with SD card and Alexa. That would make me very happy. So agree, purchasing a Fire HDX8.9s when they were introduced was a great decision. It’s a fantastic tablet, incredible screen and excellent audio, used it constantly since it arrived. What’s also great is how the battery has held up, despite continual use there has been very little degradation in battery performance, something that can’t be said about an iPad and iPod I’ve owned, with much lower use the batteries in those devices quite quickly became significantly degraded. Amazon has effectively abandoned the high-end tablet space and their history suggests that once they abandon something — like FirePhone, like the 9.7″ Kindle DX — they don’t go back. Who knows but they’ve been far more successful with the low-end tablet market so I’m guessing that these will be more of the same. That’s a shame because those “high-end spec” Amazon HDX Fire tablets were a bargain at their price point. I intend to use my HDX8.9 tablet till it gives up the ghost completely, and it’s still going strong at almost four years old. I bought an Amazon Fire phone when the price dropped to $70.00 just to use it as a music player and camera. That’s not completely true. They came out with the Oasis and Voyager E-ink Reader when many would argue that e-ink is dying, or at the very least, you can buy a tablet that does more. These were supposed to be higher end and they hadn’t had a high end tablet in that price range since the race to the bottom started. @John I agree about the HDX. I still have my HDX7 but wish I had bought the HDX8.9. They both have amazing screens. I picked up the Fire 10″ last year on Prime day for 112 for the heck of it. And its slow, sluggish, takes forever just to open a book. IThe reviews love it. I hate it. We clearly aren’t using the same tablet. Its complete garbage. The 8″ is loads better but still doesn’t touch my(3 year old) HDX7. The only thing it has going for it is Alexa and the SD card storage. All the five-star reviews on that tablet can’t be from people that have owned quality tablets. Sailfish OS? Presumably with the Android compatibility layer. An interesting development, and I think a positive one. Sailfish is not ready for the mass market so these tablets will 100% use Fire OS, which is a fork of open source Android. Oh joy another Amazon tablet. My HDX (7″) is beginning to show issues with the headphone jack. When it gets warm beyond a point, it starts to fail. I have to use a small peg to press the tablet right beside the point of connection. Hope Amazon comes back with a similar tablet. It’s by far the best it ever produced. Blancopage?? really? Blanco=white page=page… page is paper… paperwhite? Whatdo you think?? I think it means HalfLife 3 is going to be released soon.